Alabama native Chandler Hoffman has been turning heads and opening eyes since he was in grade school. 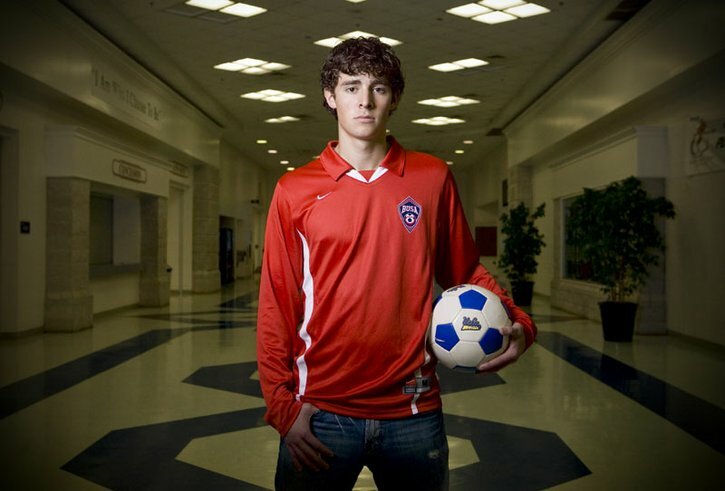 Now he’s putting Alabama on the soccer map one goal at a time. 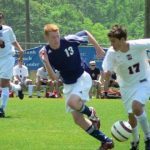 Alabama’s soccer community has heard for decades how far behind the rest of the country we are in developing soccer talent. Of course, there is some truth to that. After all, when 100,000 people will show up for a glorified college football scrimmage each spring, it can be hard for the other kind of football to break through. There has been progress, though. One only needs to look at the success of collegiate programs like UAB and Spring Hill, the number of players from Alabama signing scholarships at elite universities, and the raucous fan support for men’s and women’s national team games as examples. 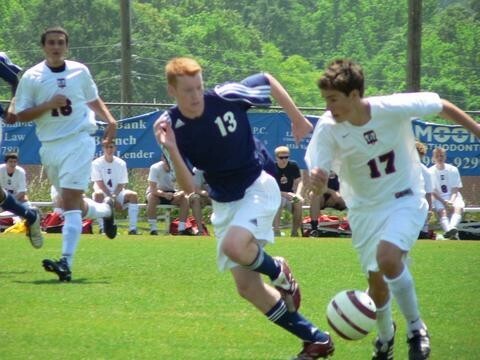 Still, Alabama isn’t yet known for developing players into elite soccer professionals. However, Birmingham native Chandler Hoffman hopes to change that perception for good. A product of Oak Mountain High School, Hoffman has gone where no native Alabama soccer player has gone before. 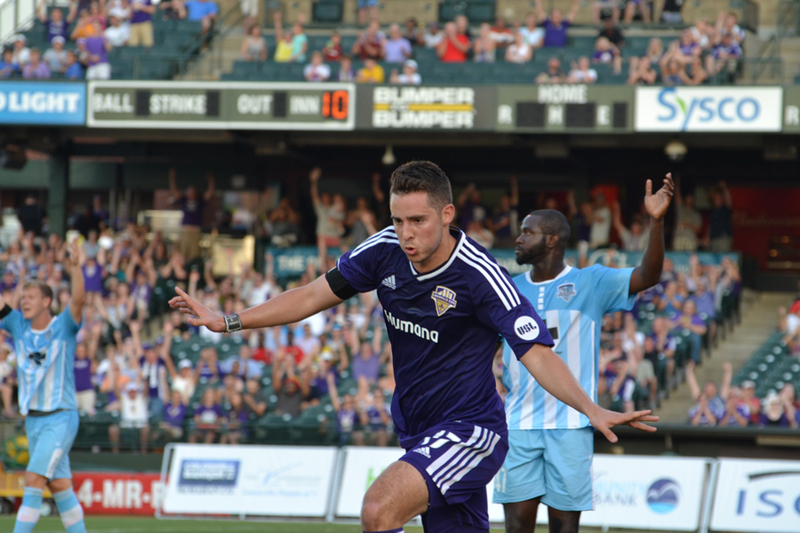 Now lighting up scoreboards with Louisville City of the United Soccer League (USL), Hoffman has set records at UCLA, played alongside legends like Landon Donavan and David Beckham, held down roster spots with four Major League Soccer squads, and even played against top international professional soccer clubs like Manchester United, AC Milan, and Juventus. 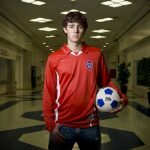 A hard worker with a knack for finding the back of the net, Hoffman says he believes the Heart of Dixie is poised to be a new hotbed of soccer talent on a national level. “I think I’ve definitely opened some eyes and opened some doors for people,” says Hoffman, via phone shortly before a U.S. Open Cup match with the Indy 11, a North American Soccer League (NASL) squad. Hoffman’s journey began in the late 1990s with his family in north Shelby County. Like many boys his age, Hoffman played a variety of sports, including baseball and football for a short time, but it was soccer that caught his attention at an early age. As he grew older, Hoffman excelled on his club teams displaying his natural talent for scoring goals. 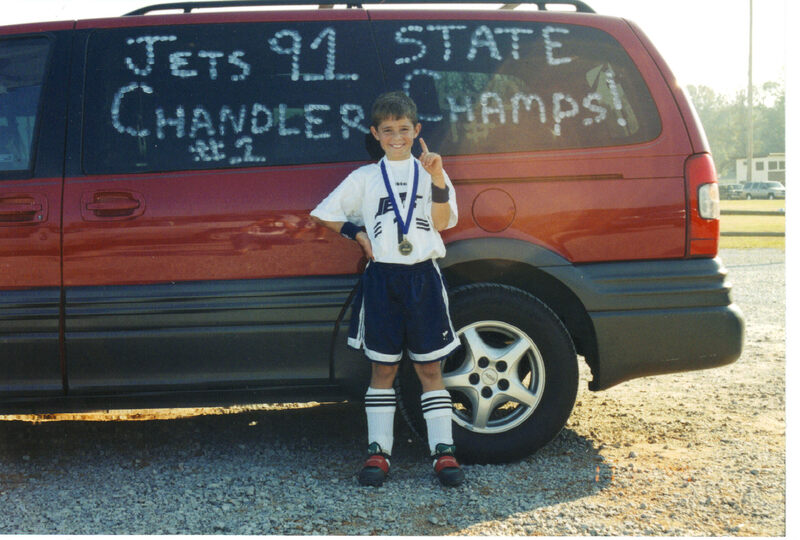 By the time he entered junior high, he had some inkling that he would like to play soccer on the college level. 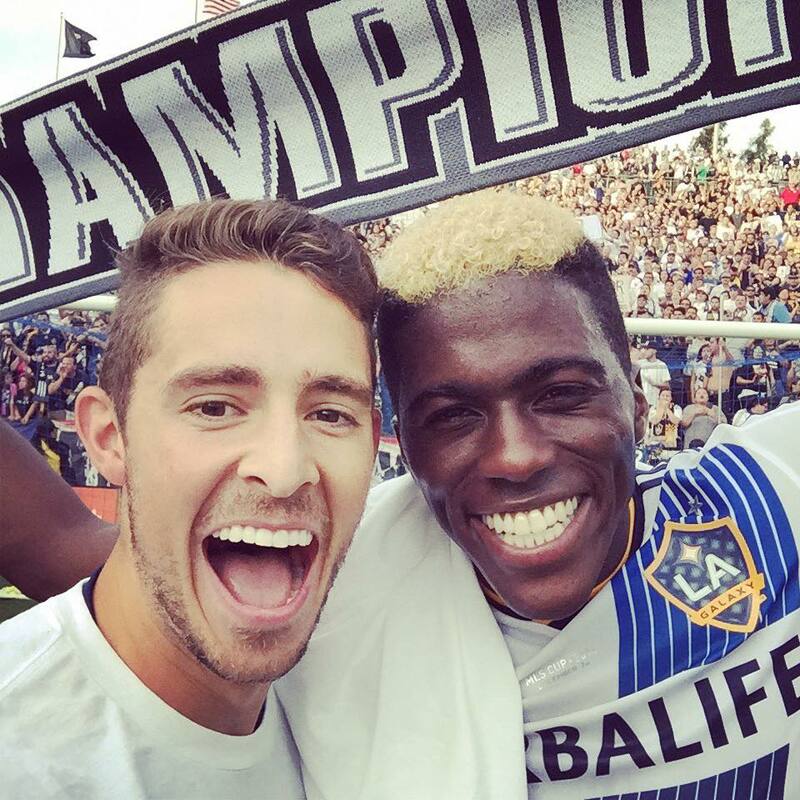 However, Hoffman fell in love with southern California after his club team played in a tournament at the StubHub Center, home of the MLS’s Los Angeles Galaxy. At that moment, Hoffman made up his mind — he was going to play college ball at UCLA. While playing for Oak Mountain High School, Hoffman discovered that a teammate’s mother was capturing video of each game. Hoffman obtained copies of the files and put together his own highlight reel, posting it to YouTube and then sending it out in emails to coaches and recruiters. Within weeks, he was fielding requests from elite coaches from around the country wanting to see him play in an upcoming tournament in Illinois. 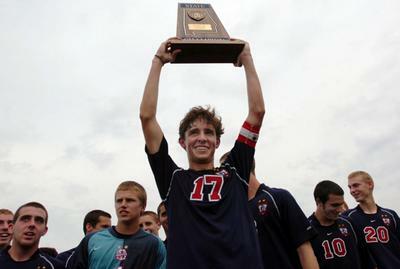 Oak Mountain #17 Chandler Hoffman hoists the trophy after they defeated Prattville 3-2. Things didn’t always go Hoffman’s way, however. 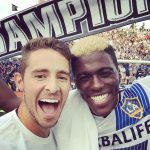 He fractured his fibula during the first day of preseason training for his sophomore season in 2010, putting his plans to go pro following the season on hold. Hoffman bounced back in a big way in 2011, scoring 18 goals, setting and tying records held by such greats as Cobi Jones and Joe-Max Moore. 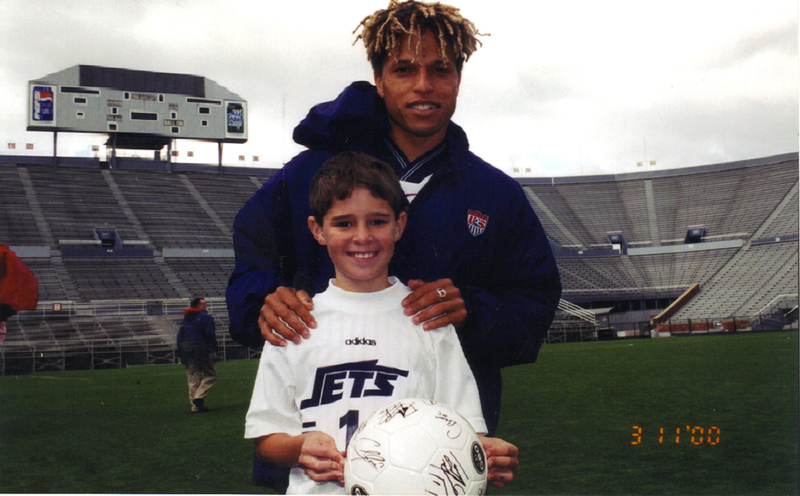 Hoffman did turn pro after his junior year, signing a Generation Adidas contract with the Philadelphia Union, eventually being traded to the Galaxy. 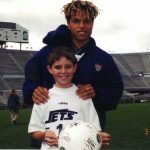 Since then, Hoffman has seen time with the Houston Dynamo, as well as several USL teams, including the Colorado Springs Switchbacks and his current club, Louisville City.